Eastbourne CC have now won seven games in a row and are unbeaten in eight after they beat Middleton CC by a convincing 92 runs on Saturday. The result sees Eastbourne remain second in the ECB Premier Division behind leaders Roffey CC, but they have closed the gap to just 13 points. Captain Jacob Smith top scored for Eastbourne, who batted first, with an impressive 99 not out that included nine 4s and three 6s from 121 balls and helped them on their way to an impressive total of 226. 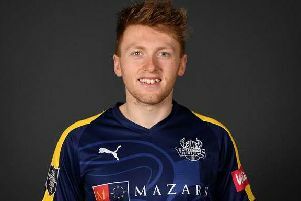 Ben Twine then led the charge for the bowling attack with incredible figures of four wickets for just seven runs off just five overs that included two maidens. However, it was Captain Smith, still seemingly fresh from his near century, that claimed the key wicket of the league’s leading run scorer Mahesh Rawat for a modest score by his standards of 35. Middleton were thereafter swiftly bowled out for just 134 with Eastbourne only needing 30.3 of a possible 50 overs. “We had a lot of rain the day before and so it was actually quite an effort just to get the game on, because for quite a while we didn’t think we would be playing”, said Captain Smith. Eastbourne now have three games left to play knowing that three victories would guarantee them the league title. They are next in action tomorrow, (Saturday, 12pm) when they travel to Horsham CC, who are currently on a three-win streak of their own and so it should make for an entertaining game.